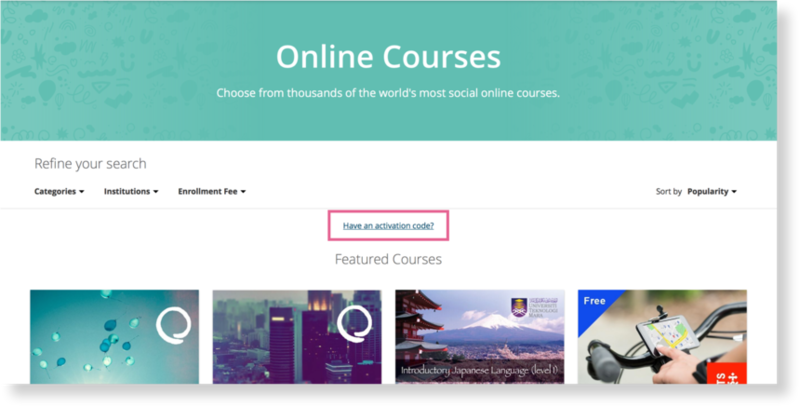 Some courses require an activation code to access. This code is provided by the course administrator, for students to join their course. If you have a direct link to the course, you can simply paste the activation code into the box on the course's landing page. If you have been provided with an access code but don't have a direct link to your course, here's how you can go about enrolling! Underneath the search options, click on Have an activation code? Copy your activation code and paste it into this box. Click Join Course and you're in! You might be able to get the activation code from the course staff. You can contact them by sending them a private message from their profile page. To reach that page, simply click on their name. 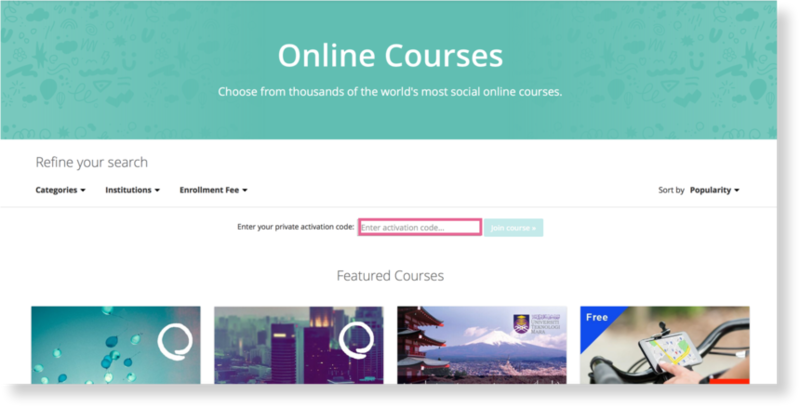 Please note that some courses are private, and they may not be able to share the code with you.